The Mendeleyev Journal is committed to assist you learn the beautiful Russian language. This list on Russian grammar will help advance your skills. The Russian numbers are essential so click the link to learn the numbers. Beginners Russian” by Kudyma gives consistent lesson by lesson instruction, with correct pronunciation by native speakers. This includes a full interactive online workbook and exercises from UCLA! his is the most accessible and carefully paced Russian course on the market. It is aimed at beginners with little or no previous knowledge of the language who want to understand, speak, and read Russian confidently. Along with the book, readers have access to an interactive website full of videos, audio, and self-correcting exercises. The wealth of material on the website provides an invaluable, enriching experience for learners. It features useful and relevant lessons cover everyday situations related to family, jobs, introductions, eating and drinking, the internet, and much more. It offers a gradual introduction to the language, cyrillic alphabet, and grammar with thorough explanations and instructions. The interactive website features correct pronunciation by native speakers and helps learners start speaking Russian right away. It is written by the authors of the highly regarded intermediate text, “V Puti”. We also give GOLOSA from George Washington University very high marks. GOLOSA (means “voices”) and is now available on Amazon and Ebay for around $100 for a good condition used text. Including CDs, videos, and easily available online audio and videos in which you participate in life-like conversations, courses like this run circles around most CD programs. 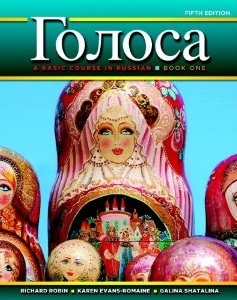 Golosa : A Basic Course in Russian, 5e strikes a true balance between communication and structure. It takes a contemporary approach to language learning by focusing on the development of functional competence in the four skills (listening, speaking, reading, and writing), as well as the expansion of cultural knowledge. It also provides comprehensive explanations of Russian grammar along with the structural practice students need to build accuracy. Golosa is divided into two books (Book 1 & Book 2) of ten units each. George Washington University Golosa materials. St Lawrence University offers Golosa supplements. One of the best online courses is Listen2Russian. This course ncludes an online textbook, downloadable resources, and voice tools to listen and practice. Another fine resource is RussianPod101. This is a very complete yet simple course. The features are awesome and include a way to record and check your accent, grammar checker, pdf downloads of each lesson, and great sound resources. One of the best! Pricing is FREE for a short beginners course, then $8 monthly for the next level and the premium service is just $25 per month and there are discounts for the longer you study. We also recommend Learn Russian The Fast and Fun Way by Thomas R. Beyer Jr. Ph.D.
Here’s an effective way for students to learn the basics of spoken Russian for sightseeing, shopping, phoning, handling emergencies, and much more. Phrases are presented as fun-to-do-exercises. The book also includes grammar notes, a bilingual dictionary, and vocabulary flash cards. Prime Language Services-Russian: Learn Russian from the convenience of your own home or office and schedule lessons for any time of the day 24/7! Certified Russian Teachers work live, one-on-one via webcam. Enjoy a personal approach and real interaction that delivers measurable results fast! Teachers are fluent in English and provide all required classroom materials, as well as recorded playback of each lesson, and continuous support in between lessons! Russian Step by Step is low cost course by Natasha Alexandrova. Includes pdf lesson files and a textbook. Colloquial Russian is easy to use and completely brilliant! Specially written by experienced teachers for self-study or class use, the course offers you a step-by-step approach to written and spoken Russian. No prior knowledge of the language is required. By the end of this rewarding course you will be able to communicate confidently and effectively in a broad range of situations. Learn how to write cursive Russian since it’s very different from printed Russian lettering. Many of you know that Russians rarely print, they write everything from love letters to grocery lists in long-hand cursive. 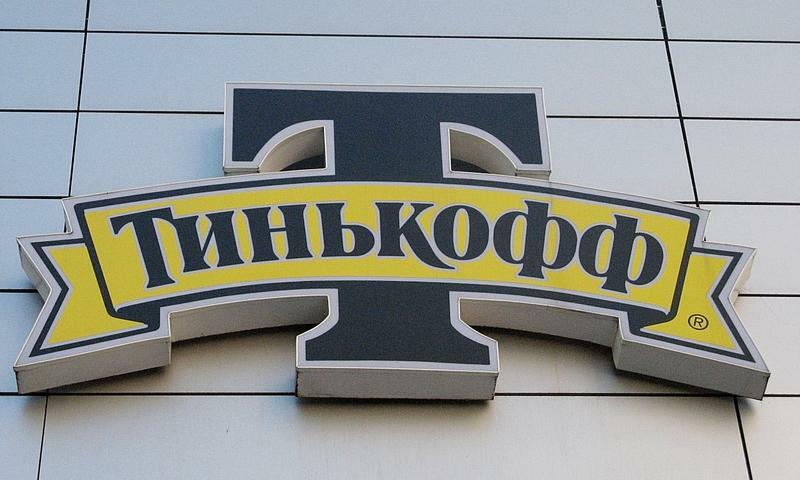 Cyrillic cursive is very different from printed letters. This unique series opens the door to the fundamentals of reading and writing a language with a non-Roman alphabet. The interactive, accessible approach to learning presented guides readers through lessons and exercises based on real-life situations and appeals to the student and tourist alike. Live From Moscow/Russian Stage One — probably one of the best at University level, yet with the ability to use it by yourself at home. Hardback textbook and large paperback workbook with 2 CD’s and one VHS. Combines visual, audio, video, and you’ll learn to read, speak and write as well as hear/see as you learn. However, it’s been discontinued from active printing so if you buy it on Ebay or Amazon, make certain that the VHS, CDs (or cassettes) are included with the text and workbook…otherwise the learning value diminishes quickly. Getting hard to find the complete package. There is a stage Two for advanced students. LearningRussian.net: This free Russian language course was developed for beginning students of Russian. It consists of lessons that cover all the basics and lay foundation for your future studies. You can get started with the first lesson on Russian alphabet right away. ABC-Russian offers many free lessons, and there are additional opportunities to learn with a paid advanced series. RT Russian Television network offers a series of basic lessons free of charge. 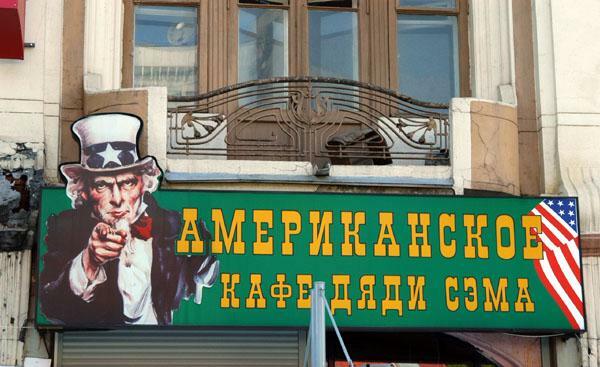 Russian Language 101 begins free and must be paid after a few lessons. However it is worth it. Russian for Free is the 3-step approach with over 30 lessons to get started with basic Russian. A Spoonful of Russia is no longer updated but remains one of the best of the free opportunities to learn Russian. Try it and start learning! Master Russian is one of the best of the free resources on the Internet with help from the basics and beyond. Russian for Everyone is a surprisingly good course and is free. Start with the alphabet and move into more complex grammar with audio examples and helpful on-screen Cyrillic. A Taste of Russian combines printable written materials with podcasts for free lessons. 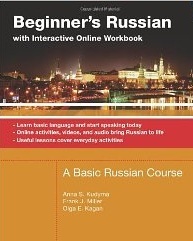 Study-Language-Online gets you started with a series of well organized basic Russian lessons. E Learn Russian offers a limited number of free lessons, very basic. Russian-for-Lovers is a fun course of the basic travel essentials. If you are traveling soon to the former Soviet region, this might be the course for you. The site features include sound and a translation tool. Russia-Plus offers many free resources as well as paid courses. Going beyond just basic language, Russian-Plus offers grammar and intermediate course work, too. I-like-2-Learn is a fun resource for learning and expanding your Russian vocabulary with exercises designed for beginning students. 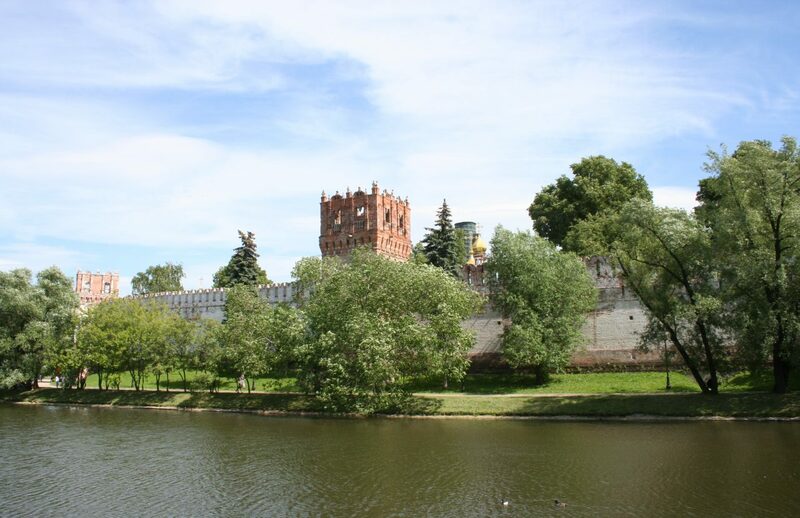 The Becker Directory is a collection of valuable Russian sites for students of Russian language, history and culture. The Complete Idiot’s Guide to Learning Russian, 2nd Edition (Complete Idiot’s Guide to) by Christopher Froehlich. Great for grammar in a way we idiots can understand it. IE Languages has great help for beginning students who’d like to broaden their skills and understanding. Live Mocha is where you can share your knowledge of English with a Russian speaker who helps you learn Russian. Free. Open Course allows you to share lessons with other speakers and practice with Russian speakers around the world. My Language Exchange is a place to find other student to trade your English skills as they help you with Russian. Passion for Russian is an well designed blog about learning the Russian language. Learn Russian Step by Step: A basic beginners course with around 100 free short lessons to get students started in learning basic Russian. Fun Russian by our friend Viktoria is a great learning supplement for vocab and grammar. Time to Speak Russian is a fun blog for beginning students. Learn Russian Online is a helpful blog. The Alpha Dictionary site by Dr. Robert Beard is one of the comprehensive resources anywhere when it comes to learning Russian. Online Russian language school is a blogsite with excellent grammar instruction and helpful exercises. In blog format, you’ll have to scroll through several pages back to begin from the first lesson. The 501 most commonly used Russian verbs are listed in table form, one verb per page, and conjugated in all tenses, identified by English infinitive forms. Verbs are both regular and irregular, and are presented alphabetically for easy reference in the Cyrillic alphabet. Added material related to verbs and verb usage is also presented, including lists of hundreds more regular verbs, idiomatic verb usage, and more. Comprehensive and easy to use, with coverage of all the key points of Russian grammar, it is the ideal support book for any Russian language course and is ideal for use with Oxford’s Take off in Russian and other audio language learning packs. Thousands of examples in an instantly accessible layout show how the language works. Comprehensive, in-depth guide to the grammar of written and spoken Russian. Includes numerous example sentences taken from contemporary literature and media sources illustrating the grammatical points. 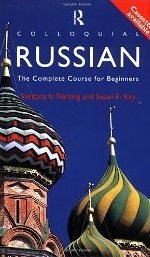 This book is suitable for intermediate to advanced level students of Russian. This is the definitive guide to Russian usage and the standard reference work for students and professionals alike. In the third edition, Russian language expert David Gillespie has updated and revised this highly acclaimed volume and it provides the most complete, accurate and authoritative English language reference grammar of Russian available on the market. Practice Russian allows you to practice what you’ve learned, plus there is a small collection of free lessons. Digital dialects numbers quizzes for Russian. Learn Russian Free has great practices exercises and vocabulary. Transparent Languages is an excellent resource bringing students and teachers together. Shining Happy People is a word of the Day with explanations on grammar from Dr. Don Livingston, professor of Russian at Arizona State University. E Language School vocabulary link. 101 Languages is a good vocabulary resource. Happy Child is a project in the UK to teach Russian to young students. Hear what Russian words should sound like here. Paste words and listen to Russian speakers. Superior ap! Another great tool is found at the Acapela Group. Rus Klaviatura is a good place to start if you need a Russian keyboard. 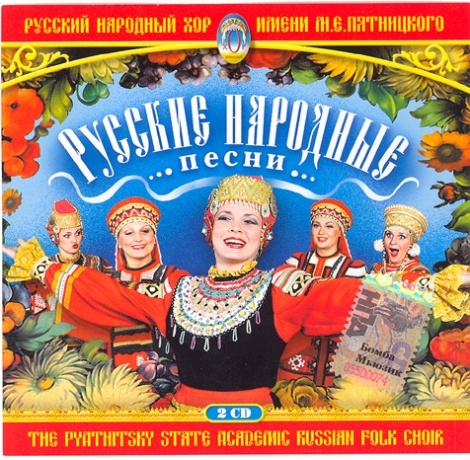 Teach Yourself Russian Language Life and Culture, by Stephen Webber and Tatyana Webber (Very interesting introduction to Russian society and culture. Covers a wide range of topics, including literature, music, language, art, architecture, cinema, theatre, science, the media, politics, education, health, work, leisure, transport, family and religion. It isn’t a language textbook, though each chapter does include a list of useful Russian words and phrases, and further examples of key vocabulary appear in the main text. “Russian with Naya” is a video series that we recommend. There are new videos each week and it is great for beginners! Please watch and subscribe for updates. Another great way to start learning Russian as a beginner is to watch the Russian lessons on YouTube by Victor Dmitrievitch Huliganov. (Those who understand Russian will understand the play on his last name.) His lessons are a combination of serious learning and humour, and most will find this a good combination to learn quickly. Each lesson is concluded with a joke or poem and then a song (yes, he does the singing!). On a serious note he is a highly regarded professor, but very eccentric and very, very funny with his accent and use of humour. 1- Daily lessons from “Beginners Russian” by Kudyma for consistent step by step instruction, with correct pronunciation by native speakers. This includes a full interactive online workbook and exercises! 2- Do the accompanying exercises daily and review on weekends: Use resources such as http://www.russian.ucla.edu/beginnersrussian/student/home.htm. Use the “homework” to learn to master the alphabet, how to use numbers/counting, pronounce names/titles of relatives, how to tell time, and some other basics. This supplemental homework will take you further in your ability to put sentences and phrases together. In the sidebar you’ll notice even more videos from Naya and we suggest that you subscribe to this channel, and complete all the lessons. Good news–Naya is adding new videos each week! 4- Print and write (cursive) the alphabet, two times daily until you can do it forward and backwards in your sleep, including cursive. Do the same with numbers. Russian Remote is an online movie, TV, radio site with many free titles. Movie for the Weekend on the Kyle Keaton website features a Russian language film but English subtitles allow you to follow along. Its a great way to immerse yourself for listening and comprehension practice. Movies with English subtitles found here at the Mendeleyev Journal. Russian Radio stations are featured here on the Mendeleyev Journal. Thanks for using resources from the Mendeleyev Journal. Many thanks for your ringing endorsement of my series and my humour, although of course I wasn’t aware of having used any of the latter… You’re very welcome to put up more of those if you feel like it. Recently I got up to lesson 21 in the second series, but I don’t think I’m even one third of the way to what I really envisage in my mind for this series yet. There’s also my blog http://www.huliganov.tv. I’d be honoured to swap bogrolls with you. All the resources of Russian Language are amazing. Thank you for the informative post and look forward to checking some of these resources out. From firsthand experience, I totally agree that the Golosa textbooks and the UCLA Russian online resources are very helpful.